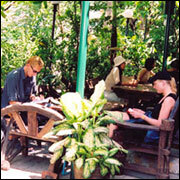 Welcome to New World Lodge Hotel Our friendly atmosphere is evident the moment you arrive. You will be greeted with a smile and a Sawadee Thai custom for a warm welcome. 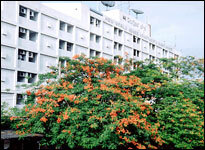 The hotel is located within Rattanakosin Island, the heart of Bangkok's cultural heritage. In the middle of the city, the New World Lodge is right in the heart of business, shopping and entertainment districts with convenient access to the airport expressway, railway station, and bus terminals. 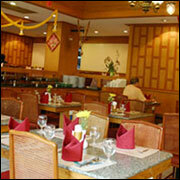 - Credit card details are required for guarantee the booking. 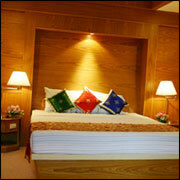 The hotel has altogether 188 rooms, including 1 Lampoo Suite, 2 Junior Suites, 64 Deluxe rooms, and 121 Superior rooms. 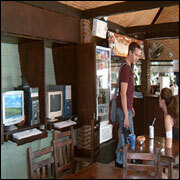 All rooms are with individual control air conditioning system. 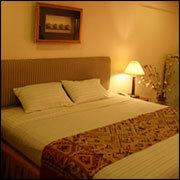 Every room has refrigerator, window, balcony, and private bathroom with hot & cold shower. - Safe deposit boxes at front desk 24 hrs. Butsayaphan Conference Room can offer a variety of sizes and configurations tailored to your needs. Small or medium meetings, celebration party or any kind of get together can be held which can comfortably seat from 30 to 120 people. The room has abundant natural light and complete with audio-visual equipment. Stage presentation facilities are also available. Our team of dedicates and experienced meeting planners are on hand to take care of every minute to make certain the function is a complete success.